Summer is a great time for sunbathing, beach going, barbecuing, and lots of other summer fun activities. Spending time in the sun has many benefits, including jumpstarting your body’s production of vitamin D. Many people think that drinking milk or taking supplements is an optimal source of vitamin D, however it is the sun that activates vitamin D in the body most efficiently. Spending time outdoors can also elevate your mood. That is why it is so important to take a lunch break and step outside to get some sun and fresh air, even if it is only for ten to fifteen minutes. Doing so will make you much more productive during your afternoon work hours. In addition, sunlight has been shown to clear up mild acne, psoriasis, and eczema. With benefits like these, you should be happy to spend more time in the sun. Beware of getting too much of a good thing however, as overexposure to the sun can sometimes be detrimental to your health. You can’t talk about the benefits of healthy sun exposure without discussing the downside as well. We have all seen people who have gone overboard with their sun worshipping. Perhaps they fell asleep on the beach, only to wake up an hour later looking like a lobster. People who spend many years in the sun without the proper sunscreen also tend to wrinkle easily, making them look much older than what they really are. There are even unfortunate cases of skin cancers related to overexposure to the sun. That is why it is important to learn how to strike a balance between learning how to enjoy the sun’s benefits without overdoing it. Wearing sunscreen with UVA and UVB protection is important for blocking out harmful rays that cause cancer and dry out your skin. Some women with sensitive skin may skip slathering thick sunscreen on their face, because the perfumes may cause irritation or clog pores resulting in acne. There are now several sunscreens for people with sensitive skin that may be a better choice. Several cosmetic companies also sell facial moisturizers with sunscreen as well. These tend to be much lighter and more appropriate for daily use on the face. Whether you are using a full body sunscreen or a facial moisturizer that contains sunscreen, be sure to use one with a minimum SPF of 15. Anything lower than 15 will not give you the protection you need from the harmful effects of the sun. A hat can shield your face and body from overexposure to the sun. It can provide shade, keep the sun out of your eyes, and protect the sensitive skin around your lips and eyes from becoming wrinkled. Women’s hats come in a variety of styles, shapes, and colors that will suit your personality and any occasion. Try shopping at a store that specializes in women’s hats to get the best selection. Protection from the sun is important to health and longevity. While you want to enjoy its benefits, it is important to remember to balance out your exposure by being smart about how you protect yourself. 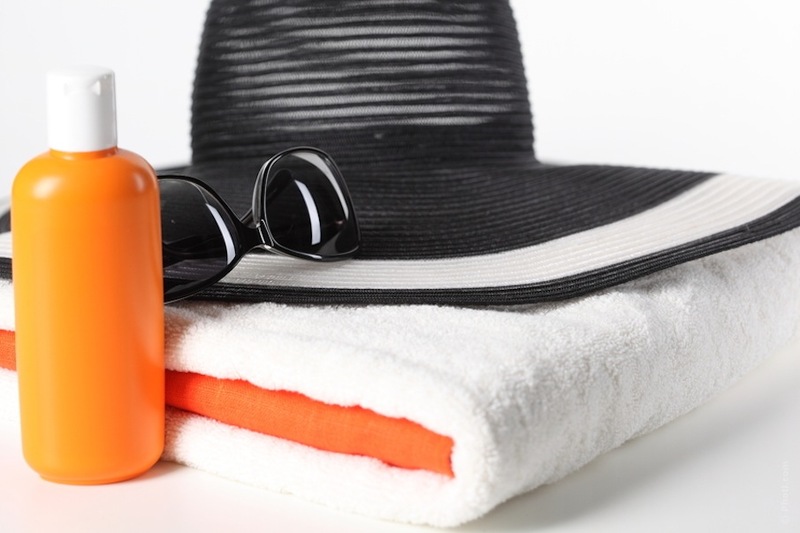 Wearing a hat and using sunscreen are two things that are easily accessible to just about anyone at any budget. Remember, it is much easier to implement a prevention strategy than it is to pay for medications and surgeries years later.